Bon Vivant and a Budget: 20 Money-Saving Travel Secrets! 'Tis the Season for latkes, egg-nog, and travel of course! Whether you are a student with a month long winter-break or an overworked employee with a few days off, you are probably aware that this is prime travel time. It seems everyone is going somewhere and if you are too, it can get expensive. In the face of skyrocketing prices, it helps to be equipped with strategies for bringing your travel costs back down to earth. Research the weather at your destination before you leave for your trip. This will allow you to pack smart and you won't find yourself buying last minute boots, sweaters, scarves, bathing suits, shorts or umbrellas. Above all, you want to be prepared! If you are taking a road-trip, prepare meals and snacks ahead of time and pack them in a cooler. This will be a lot cheaper (and healthier) than rest stop fare. If you are headed to the airport, pack snacks that don't require refrigeration. Pack a carry-on bag only, whenever possible. 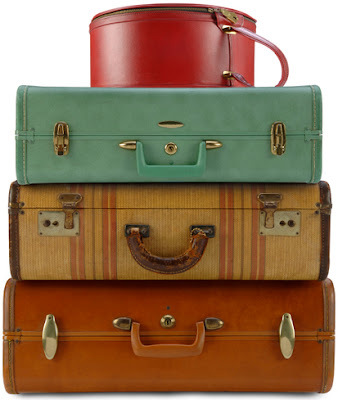 The average cost each way is $25 per piece of checked luggage. Here is a chart of the different fees by airline for domestic flights within the US. Checking your bags saves you about $50 round-trip (enough money for dinner for two) and affords you the freedom to walk straight off the plane and out of the airport. If your schedule allows, do your actual travel on a Tuesday or Wednesday. With the exception of major holidays, the middle of the week is always cheapest to fly because most people are usually working. Try megabus.com and boltbus.com. If you buy your tickets a month or so in advance, these companies often have tickets available for as cheap as $1. Utilize Craigslist.org. Many people list travel vouchers that are about to expire on this website. You can find them by going to the For Sale section and typing in "travel voucher." The search results will yield a range of vouchers for different prices and airlines. I would suggest you find one that interests you and make an offer for 50% or less of the price they are asking. If no one else responds, they will often take a fraction of the price (your offer) as opposed to losing all the value of their voucher. Priceline.com is useful for bidding on hotels for steep discounts. I once paid $50 a night for a 4 star hotel through this site. Utilize Yelp.com to find restaurants within your price range and then immediately check restaurant.com to see if they offer discounted gift certificates. Often you will find $25 gift certificates for $10 and under. Find a hotel with a kitchen if possible and whip out that apron. Cooking tends to be cheaper than eating out, so try to eat at least one meal per day inside your hotel. Since beverage costs can add up quickly, carry a reusable water bottle with a filter like the one featured in my holiday gift guide post. A few weeks before you embark on your trip, subscribe to flash sale sites like Groupon and Living Social for the cities you are visiting. You will get great deals for dining, entertainment and more. Wear comfortable shoes so you can walk around and check out all the spots! Google maps will direct you how to walk and/or take public transportation. This can save you hundreds of dollars. I was in the traffic nightmare that is LA in February and remember one cab ride costing $60 for two and a half miles; if I had taken the bus it would have been $1. I wanted to slap myself for wasting that money... I could have bought a new pair of shoes!